Sri lanka is known as Pearl of Indian Ocean and not without reason. This island is a cool getaway for travel enthusiasts, offering exotic travel, fine food and great relaxation. Pristine beaches lined with palm trees to Buddhist sites exuding beauty, this island has everything you wish for. Sri lanka has something for everyone. 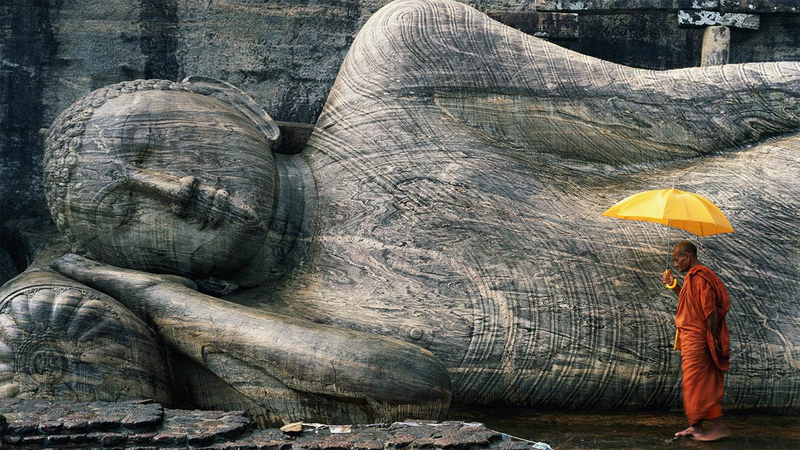 For the art & culture enthusiast, there are the numerous religious festivals like Kandy Esala Perahera, Vesak Festival and Sinhala, alongside artistic, musical and literary celebrations, including the Galle Literary Festival — the largest in Southeast Asia of its kind. The country’s capital Colombo, located on the western shores, is a vibrant metropolis where the urbane, creative class lives next to blue-collar artisans and laborers. Interlaced with the deep colonial heritages of the Arab world, Portugal, the Netherlands and Britain, it is a multicultural hot spot. The capital has historic buildings, mansions, gardens, shopping malls and street markets that provide diverse and unique experiences. For the history buff, there are numerous monuments that you will love to explore. As more than 70 percent of Sri Lankans practice Theravada Buddhism, which was introduced in B.C. 300, Buddhist heritages are scattered across the country. The Sacred Temple of the Tooth in Kandy, the second-largest city in Sri Lanka, in the midst of Kandy plateau hills, houses one of most treasured Buddhist relics “The Sacred Tooth of Lord Buddha.” It draws followers from all over the world. It is surrounded by a deep moat and features some of the country’s finest ancient architecture — exquisitely carved wooden columns and sculptures that enshrine the deities Natha, Vishnu and Pattini. One hundred fifty-seven Buddha statues of various sizes and poses, including a 15-meter-long reclining Buddha, and frescoes, adorn the cave wall in Sinhalese art. The Rock Fortress of Sigiriya, a royal citadel in the fifth century, is arguably the most famous attraction in Sri Lanka. It is an ancient palace and pleasure garden built atop a 200-meter rock for King Kashyapa. The imposing structure has landscaped gardens with ponds and murals that extend hundreds of meters from the base of the rock. The Golden Temple of Dambulla, a cave edifice with Buddhist murals and statues on a mountaintop, in the central part of the country, is a UNESCO World Heritage Site. Dating back to B.C. 100, it has been a holy site for Buddhist and Hindu pilgrims for 22 centuries. When in Sri Lanka, step into the Ramada Katunayake, Colombo’s finest hotel, very close to Colombo International Airport.